Louisiana Barber Schools: Listings & License Info for New Orleans, etc. Louisiana has many good places for the study of the barber’s trade. Before you can work as a barber in Louisiana you must obtain a barber licence. The necessary training can be completed through barber schools either part-time and evenings or full-time, or as an apprenticeship. 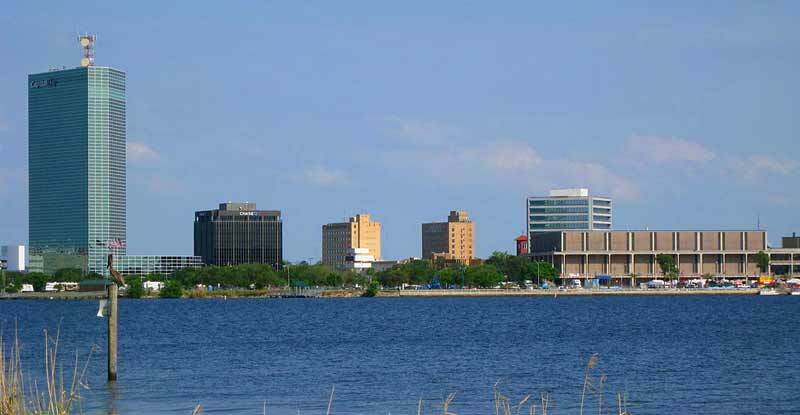 Lake Charles from across the water. How Long Is Barber’s Training in Louisiana? To register with a barber school you will need to provide a completed student application form, your high school diploma and two 3×5 signed photographs. Once registered you are required to undertake a minimum of 1500 hours of course work covering a range of topics including ethics, safety, Louisiana law, management, as well as the more practical, haircutting techniques, tool use and maintenance, shampooing and shaving. Through this program you will also receive a barber-styling state board examination review to help prepare for your licence exams. Use your ZIP in the app below to see what’s available in your area. To gain a barber licence as an apprentice you must be 17 or older, have a high school diploma and train under the supervision of a licensed barber. The apprenticeship will be a minimum of 4000 hours and will cover subjects including sanitation, shop management, professional ethics as well as haircutting, facials and hair coloring. Upon completion of your training — whether as an apprentice or in school — you will receive an application for your licence and examinations from the board. To register you must submit a completed Examination and License application, two 3×5 photographs, your training certificate and the examination and licence fees. Exams are conducted every three months and consist of practical and theory based tests. The practical exam is 3 hours. You must bring live models and show you can do the following barbering services: taper cut, cut and style, shaves, massages and perm rod wraps. The written examination is 1 hour and will cover topics including Louisiana Laws, chemistry, hair and skin disorders and hair cutting and styling. You must pass both examinations with a minimum of 70%. You will then be given with your Louisiana barber license and be ready to start your barbering career either employed in a salon or as your own boss. Future Barber College – located at 3941 Ryan Street, Suite G, Lake Charles 70605. For real-world training students give haircuts to the general public at bargain prices. Located close to McNeese State University in a convenient location with plenty of student parking. Did we miss any barber schools in Louisiana? Please contact us to let us know.